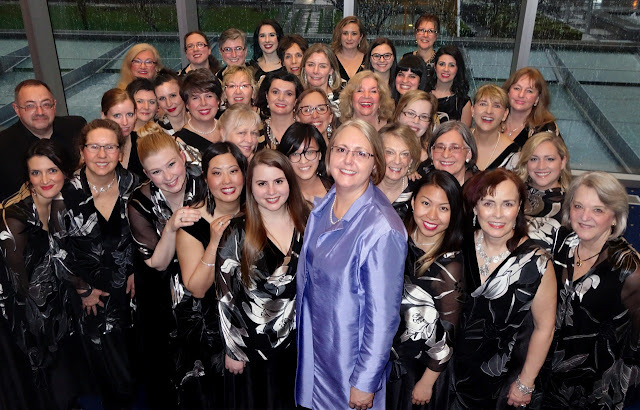 Elektra Women’s Choir from Vancouver, Canada has been a leader among women’s choirs since 1987. Under the direction of Artistic Director Morna Edmundson the 50-voice adult choir is known for its adventurous programming, seeking out music written specifically for women and frequently commissioning new works. Elektra delivers its mandate to “inspire and lead” through an annual concert series including new and commissioned works and featuring outstanding guest artists. In addition to performing worthy repertoire from the past, Elektra has commissioned over 70 compositions and arrangements. 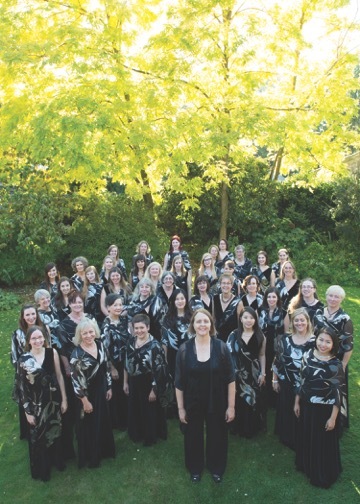 The choir’s recordings on iTunes and CD Baby extend the reach of its repertoire internationally. Elektra’s website offers a permanent repertoire resource featuring all works programmed by the choir to date. A multiple national prize-winning ensemble, Elektra has been honoured to perform at conferences of Choral Canada, the American Choral Directors Association, Chorus America, the International Society for Music Education, and the International Federation for Choral Music. 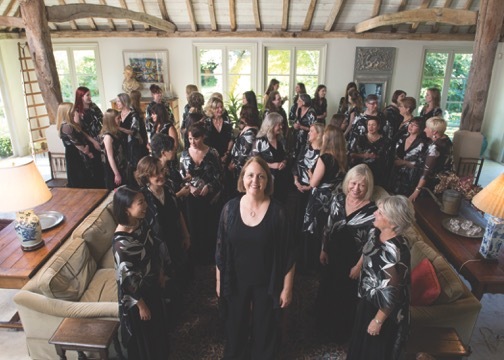 You have been with Elektra since you co-founded the ensemble with Diane Loomer in 1987, what was it like starting out in those early years and how did you begin establishing yourselves as a premiere womens choir ensemble? Diane and I started Elektra after a conversation at a choir party. Between us, we knew dozens of the top choral singers in Vancouver, so the first roster was by invitation, and it took off from there. Like most projects, it took shape “over the kitchen table” for those first few years. We’d meet or just phone each other and conversations ended with “Sounds good to me” and then we just made it happen by doing everything ourselves. At first, we thought there might not be enough good repertoire to sustain a women’s choir, but we were wrong. We started discovering the amazing youth choirs around the world and all the contemporary music that was being written for them, and it really opened our eyes. Thinking back 30 years to pre-internet and pre-email, I don’t know how the choirs and composers found each other, but we did. What are some of the highlights you have had with the Elektra? Singing for our peers is always a high point, which is why we’re so excited to be invited to Podium. Highlights have been 1996 when we performed at the Fourth World Symposium on Choral Music in Sydney, Australia. Less than a year later, we were at the ACDA National Convention in San Diego where we sold $14,000 worth of CDs in four days and people went crazy for Elektra. We were completely surprised. In our first decade, we had never travelled further than about 30 miles outside of Vancouver, and we had no idea that US colleagues were interested in us and our repertoire. That was really the beginning of an amazing journey and a different understanding of our role. There are many other highlights in a 29-year journey but most boil down to the focus and thrill of being inside the music on stage with friends and colleagues. Outreach programs are important to Elektra's work in the community, why do you feel like it is important to continue supporting programs like the Mira Mentorship program for High School Singers and Choral Leadership for Young Women? About 20 years ago, we began to understand that we could have a positive change on perceptions about women’s choirs. We didn’t form the choir because we couldn’t find any tenors and basses, nor because we had “too many women” singers, but because we wanted to explore the repertoire. Both Diane and I conducted choirs of all voicings, but Elektra became a really strong voice and we knew we could get alongside of conductors and singers who could use an ally in their own situations. I like to think we’ve had a role, along with many others, in fewer girls crying in the bathroom at school because their name was not on the mixed choir roster. And fewer conductors thinking they got the short straw when they were assigned the women’s choir in their college. We can have that kind of influence through our recordings, but locally we want to sing together with young women and get to know their conductors. We want them to see our singers aged 20-65 having a great artistic experience and having fun together. Mira is for the top Grade 11 and 12 singers in their schools and takes an audition and a big commitment. The Choral Leadership Workshop is for entire choirs and all skill levels are welcome. We sing together and we also talk about how one can develop leadership skills for a lifetime through the choral experience. Meeting girls at both these stages of development is important to us. There are so many different types of choirs out there from children's to mixed, but what draws you specifically to women's choir? I love all types of choirs – conducting and listening. It happens that Elektra became an important instrument and community in my life. And over 29 years, its sound still excites me and moves me and I feel as though I’ve got an important job to do that really makes a difference. I feel fortunate to have discovered that. These little unexpected twists in the road lead to such interesting places! As conductors, we all give a lot, but I feel like it comes back to me many times over with Elektra. How do you view Elektra's role when it comes to introducing choral audiences to treble choral works, such as through Cypress Choral Music's "Elektra Women's Choir" series? I think this is a huge and important part of our role. Our story is linked inextricably with the growth of the internet and the revolutionizing of how choirs discover each other and repertoire. I have friends all over the world and we send each other ideas. It’s an exciting time to be part of that community. The Cypress series helps conductors of treble choirs navigate through the thousands of pieces of music that are available for SSA, not all of which would be suitable for adults to sing. I’m proud to be able to bring composers and arrangers I admire into the spotlight, too. What is a piece of advice you have given to women considering pursuing roles of choral music leadership? Value your time and expertise. If you want to do what you do to the best of your ability, you have to make time to do it well. And unless you show the world that you value what you bring to the table, you can’t expect them to do it. Go for it! What are some future goals of Elektra? We’ve done what we’ve done by staying super focused on our mandate. Time to sing together and explore new repertoire is a precious commodity, so we make the most of every opportunity that allows us to live that out. A couple of goals for the next few years are to support emerging women composers in a more tangible and visible way and to continue to build the national and international networks of people who conduct women’s choir. In 2000 she was presented with the Healey Willan Award for outstanding service to the BC Choral Federation, an organization she serves as a member of the President’s Advisory Council. In February 2009 Morna was a recipient of the BC Community Achievement Award, which recognized her gifted organizational talent, leadership by example, and her encouragement of others to pursue their musical and choral goals. In June 2011 Morna received a Vancouver YWCA Woman of Distinction award in recognition of her work with Elektra. Ms. Edmundson serves on the board of Chorus America, the advocacy, research, and leadership development organization that gives voice to the choral field.